Guy Marsh is at the helm of our stunning triple aspect office, an agent since the 1990s, an affable and charming property expert not from the standard mould of estate agent! We work tirelessly prove our honest and heart on the sleeve approach and this is paying dividends as confirmed by our lovely customers. We believe that being the local property experts combined with a first class approach to service is the best way forward to achieve the seller / landlord the best price, from the best buyer / tenant, in the shortest possible time. Our office, located moments from the station is in Langtry Court, part of the recent regeneration of a long standing garage and MOT station, that has seen the area blossom with buyers coming from all parts of London. The people that live in Brockley love Brockley and welcome visitors with open arms. Perhaps it’s the vibrancy of both the area and its people that can be enjoyed in the wonderful wide open spaces of Hilly Fields & Telegraph Hill Parks which bring happiness to many who visit or is it the opportunity to enjoy some of the most incredible panoramic views of London? Either way, the local community thrives and weekly events such as the award winning Brockley Farmers Market which has been running for some years now offering a vast choice of goodies certainly help. There is a tremendous arts scene with many students putting down long term roots after renting in the area. We are rightly proud to have sponsored local events including the South East Makers Club and Brockley Open Studios. Brockley’s residents are incredibly generous too. We often see our Food Bank basket brimming as good souls bring laden bags into our office with provisions for the Trussell Trust. The Overground (which opened in 2010) is still changing the area and having positive effects on the housing market. 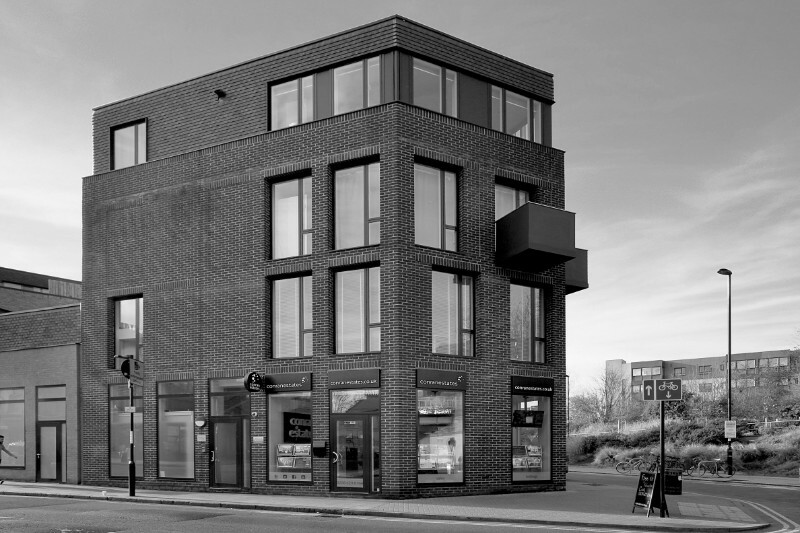 As of early 2019 there are multiple planning applications in and around the Brockley Cross area which will continue to draw buyers and therefore demand for both new build and existing market remains strong. The appeal is apparent with both Brockley and nearby Telegraph Hill Conservation Areas attracting buyers looking for the large conversion apartments in the wide tree-lined roads within grand period buildings, whilst those looking for family houses are spoilt for choice with a wide array of differing sizes and style to be found close to Brockley Station and nearby Crofton Park Station. Buildings of note are the Rivoli Dance Hall, a listed building, and rare surviving example of a fifties ballroom. Famous rock stars such as Noel Gallagher & Damon Albarn have played live here in recent years and it has also staged many film sets – most recently in January 2019 with Kiera Knightly, two-time Oscar nominee, starring in Misbehaviour, a comedy drama about the true story of the 1970 Miss World pageant in London. Another interesting building is the Tea Factory – Iconic is a word used too frequently these days but this is a standout building for the area as converted and reconfigured around a dozen years ago and can be seen from far and wide. And after you have experieadminced all this you have deserved a cup of tea or even a beer, so all you have to do is to choose from the fabulous choice of independent bars and bistros that seem to be always brimming with life. Perhaps it’s just the fabulous beer from Brockley’s independent brewery which is why us locals are always smiling, there’s only one way to find out!